Two for $329.99 each. Estimated delivery between Tue. Mar. 26 and Tue. Apr. 2. Go through eBay for the buyer protection on these to be safe. That said, it looks like these are going to be available soon. Be sure to check out the dealers on the right here on MATRIXSYNTH for stock. 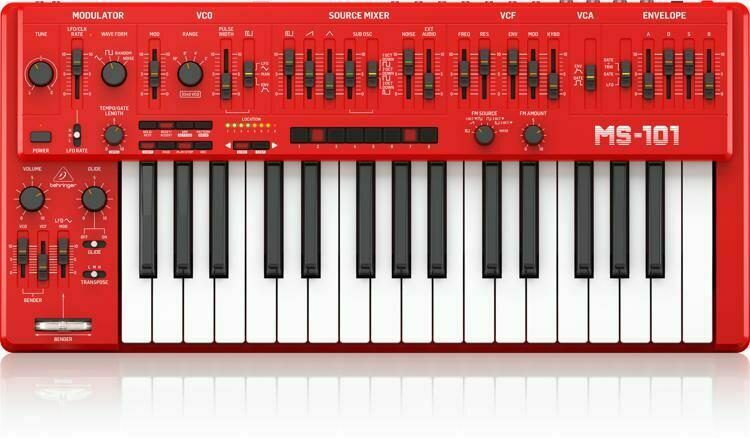 The 1980s and 90s spawned a new “wave” of synth performers including Devo, The Chemical Brothers, The Prodigy, The Crystal Method and a host of others, all empowered by the sound of a simple strap-on instrument that let keyboardists steal the spotlight away from their guitar- wielding bandmates. 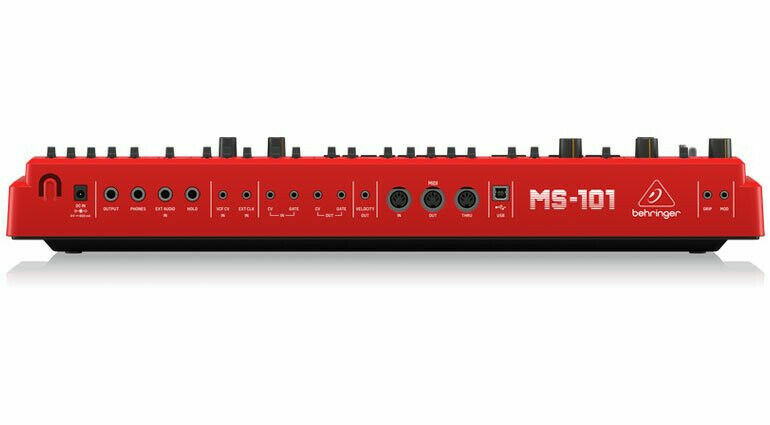 An ultra-affordable homage to that iconic synthesizer with all the features of the original and then some, such as a 32-step sequencer, arpeggiator and live performance kit, the Behringer MS-101-RD Synthesizer lets you conjure up virtually any sound with incredible finesse and ease. With its 32 semi-weighted full-size keys, pure analog signal path, authentic 3340 VCO with 4 simultaneously-mixable waveforms, plus extremely flexible VCF and VCA filters, the MS-101-RD is sure to become your favorite keyboard. Owning the MS-101-RD is like having your own personal time machine, enabling you to embrace the past – or make your imprint on the future! Designed and engineered in the U.K."